Aaaaaaaaaaaand we are back! Our first bout of the 2012 season is upon us! 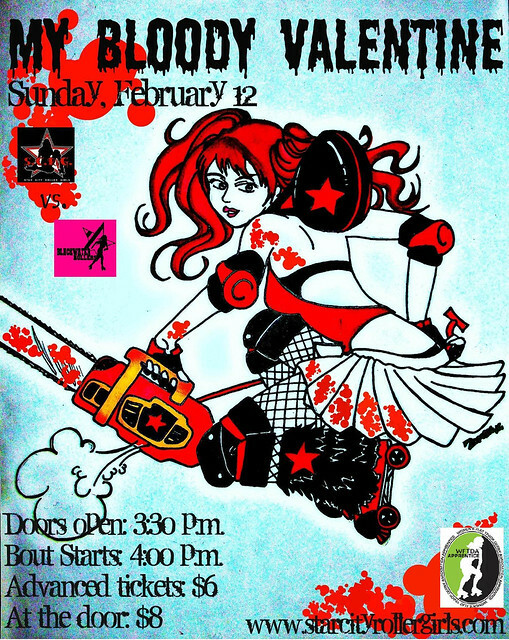 We ended our home season 2011 with the Star City Roller Girls and are kicking the ’12 off right with a rematch by visiting them on Sunday Febraury 12th. We have alot of new freshmeat who will might make special apperances so you will want to be prepared! We would love to see some fans out there because trust us, we have missed you even more than you have missed us! For more information, visit the facebook invite page. You can purchase tickets in advance on brown paper tickets.